DECJUBA was undergoing transformation and engaged Arkade to assist in their journey toward providing better customer experiences. Upon first glance, the DECJUBA business was thriving in the digital space. They had a large online following and robust eCommerce processes and systems. It was clear however from their Platform Analysis – and their many sales events that crashed their website – that they needed to replatform their website. 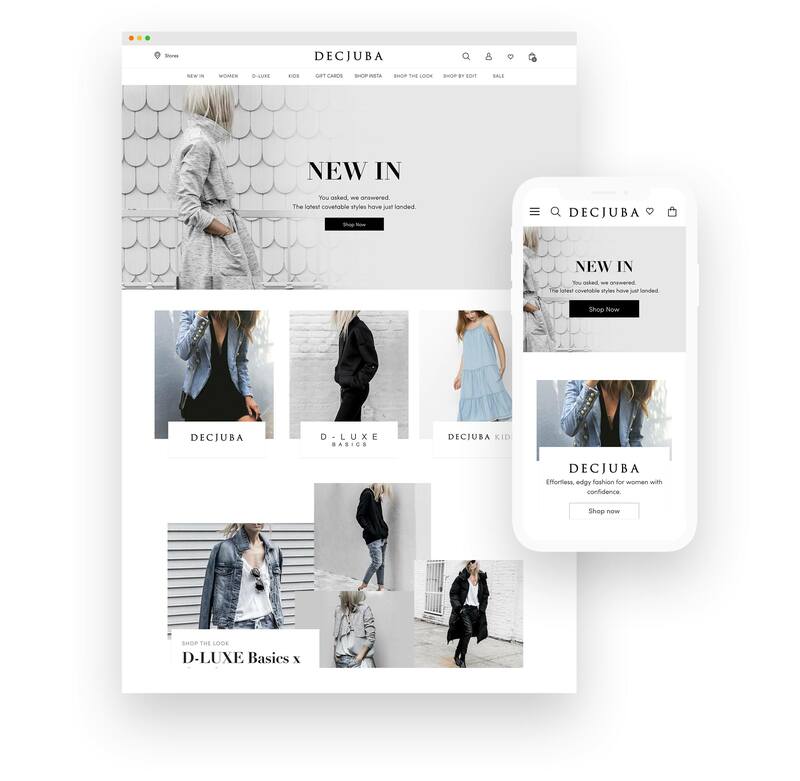 To achieve the functionality and flexibility they desired, a move from a heavily customised Magento platform to a lightweight but nimble and robust Shopify Plus hosted solution was required. They needed an ecommerce site that firmly put the customer first while streamlining their business administration, stock management and customer service chains. As such, a seamless experience between the offline and online shopping environments needed to be created for a true omnichannel approach. Our challenge came when we needed to bring the user experience and platforms together for a seamless and efficient customer experience. With our understanding of all platforms, customers and employee experience in play, we needed to meld the worlds of backend process with front end experiences. To design and build a seamless customer experience between retail stores, head office and online shopping is never easy. Working with the team at DECJUBA, we were able to streamline business processes. This, coupled with replatforming the website to a simple, easily manageable and highly aesthetic Shopify Plus site, made for a more efficient and enjoyable experience with the brand for both customers and employees alike. 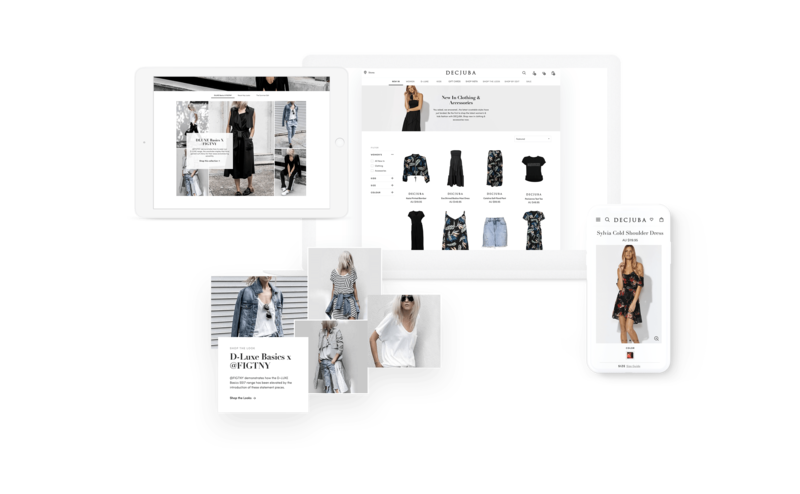 The replatformed Shopify Plus eCommerce site provides a visually appealing, easy to use shopping experience with the customer at the heart of every interaction. 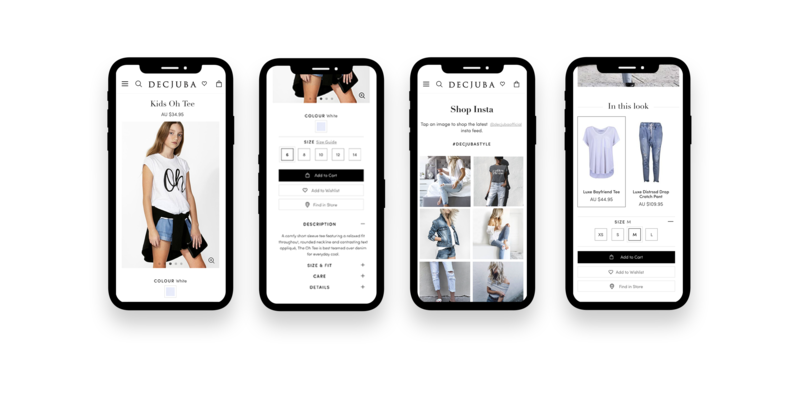 It is also modular, highly customisable, and measurable for engagement and conversion through Google Analytics making it more manageable for the eCommerce team too.